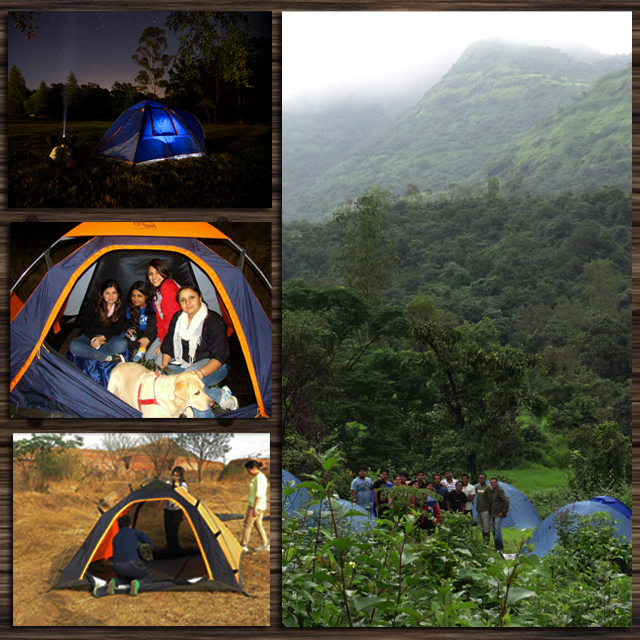 Adventure camping is a great recreational activity to recuperate from the mundane city rush. So if you love the outdoors, get off your laptops and away from your television sets, forget everything and escape to the peace and tranquility of the mountains and lakes. At Rivers and Ridges we have chosen some of the best, unspoiled and unexplored woodlands that are easily accessible and yet provide the best of flora and fauna. WARNING! Merging with Mother Nature may cause a life changing experience. Some of you have already experienced the outdoors, but camping, cooking by the campfire and trekking isn’t all the outdoors is about. The real outdoors is all about seeking thrills: we give you the best of the outdoors with fishing, rifle shooting, archery, rock climbing, rappelling, wildlife tracking, and survival techniques. Besides that, we also give you loads of opportunities to make new friends and ample time to relax, unwind and discover. These places are reached through scenic byways, have access to fresh water, and have jungle trails that are isolated yet within village limits. The incredible community of wildlife, nature and our activities make your outdoor trip unique and personal, thus giving you the opportunity to encounter a life changing experience. You can either bring your own tents or rent it from us, our supplies include tents, floor mats, sleeping bags, air pillows, tent light and ample of fresh air.